The Charterhouse has 13 residential flats and 3 houses that are leased at commercial rates to private tenants. The peace and tranquillity of the seven and a half acre site is an ideal location for residential tenants. These properties come with 24 hour manned security, superb gardens and the opportunity to join in this wonderful communal life. All these properties are very popular and we do have a waiting list for potential tenants. 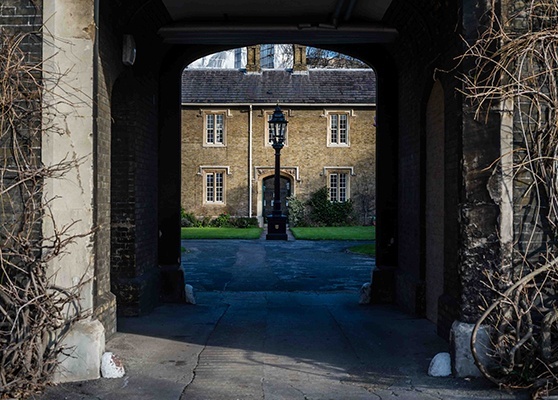 We are finding that some of our residential tenants are attracted to the Charterhouse because of the care that we can offer and in particular to single elderly people. We are registered for Domiciliary Care to maintain independent living for as long as possible without having to rely on hard working relatives. In addition we allow a small number of paying guests in the Infirmary too where we can provide more detailed care until end of life. Some tenants find the progression from being partially supported in a flat, thereby maintaining independence for as long as possible, to full care in the Infirmary a source of great peace and security. Please do feel free to make enquiries by telephone on 0207 253 9503.